New Zealand law is NEUTRAL. Rents: Can landlord and tenant freely agree rents in New Zealand? Landlord and tenant can freely agree on the rent. The landlord must give 60 days' notice in writing to the tenant before implementing a rent increase. The rent can not be increased within 6 months of either the start of the tenancy, or the last rent increase. In fixed term tenancies, the rent can only be increased if the tenancy agreement stipulates. Tenants can apply to the Tenancy Tribunal for rental assessment if he thinks the rent increase is excessive. The landlord can ask for a security bond amounting to four weeks' rent or less, which must be lodged with the Tenancy Services Centre within 23 working days. At the end of tenancy, the bond will be refunded to the tenant, if the tenant has fully paid, and there is no damage to the property. The landlord can also ask for rent advance, but only for a maximum of two weeks' rent. 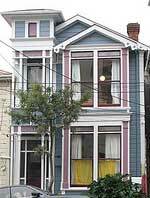 What rights do landlords and tenants have in New Zealand, especially as to duration of contract, and eviction? Tenancy agreements can be either be for a fixed term, or a periodic term. Periodic tenancies, which are the most common in New Zealand, have no fixed date for the end of the tenancy, and allow both the landlord and tenant to end the tenancy, through a written notice. A fixed term tenancy is for a set period of time, and cannot be ended before that time, unless both parties agree, or as ordered by the Tenancy Tribunal. The tenancy agreement can also state whether the tenant can sublet or not, as well as limit the number of people who can reside in the rental property. the property is normally used as employee accommodation and is needed again for that purpose, which is included in the tenancy agreement. A tenant must give 21 days' notice, unless the landlord agrees in writing to a shorter time. If the landlord gives notice, and the tenant wants to leave before the termination date, then the tenant must inform the landlord (through a written notice) giving 21 days' notice. Notice to quit cannot be given during a fixed-term tenancy. The Residential Tenancies Act 1986 governs the relation between landlord and tenant. A written agreement is required in all tenancies. The Residential Tenancies Act 1986 is administered by the Department of Building and Housing. Landlord-tenant issues are heard and settled before the Tenancy Tribunal, which is under Ministry of Justice. There are a variety of orders issued by the Tribunal but the most common order agreed to in mediation or made at the Tribunal are possession, monetary and work orders. Orders of possession are usually claimed by landlord if tenant is 21 days behind in rent; substantial damage to property by tenant or threatening to do so; threats or grave assault to owner and his family or agent; and breach of agreement. Monetary orders include payments for arrears in rent or refund of overpaid rent; payments for damages; and reimbursement of costs and the like. It takes an average of 30 days for court rulings to be enforced regarding eviction of tenant. Requiring every tenancy agreements to be in writing. Providing conditions (such as the 60 days notice for rent increase and the 6-month time limit for another round of rent increase) to the landlord before increasing the rent. Prohibiting the disposal of tenant's goods in lieu of unpaid rents. 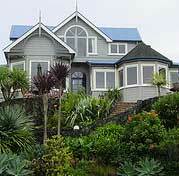 How high are estate duties in New Zealand?